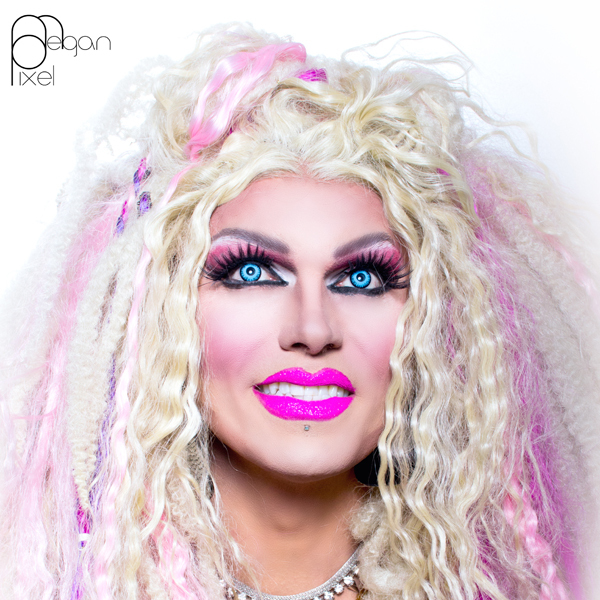 “The (Drag) Queen of All Media,” Pollo Del Mar, a.k.a. The Notorious Pdm, is a Bay Area drag celebutante, emcee, celebrity journalist, columnist and outspoken LGBT activist. She keeps her finger on the pulse of pop culture but never loses track of her White Trash roots! Named “The (Drag) Queen of All Media” by The Huffington Post, Pollo Del Mar is a Bay Area celebutante, emcee, GLOSS Magazine celebrity journalist, activist and recording artist. For two years, her column “The Glamazon Diaries” was a staple in the San Francisco Bay Times newspaper. More recently, her “Name-Dropping with Pollo!” video-blog has been a popular feature in The Huffington Post. A tireless fundraiser for San Francisco’s LGBT community, Pollo keeps her finger on the pulse of pop culture but never loses track of her White Trash roots! Pollo released her debut single “How Embarrassing” — a comedic track set to blazing house music beats — in Spring 2012. In 2013, teaming up with producers Matt Consola, James Torres and LFB of San Francisco’s Swishcraft Music, Pollo will be the voice on another comedic track set to blazing house music beats called #WhiteLadyProblems.